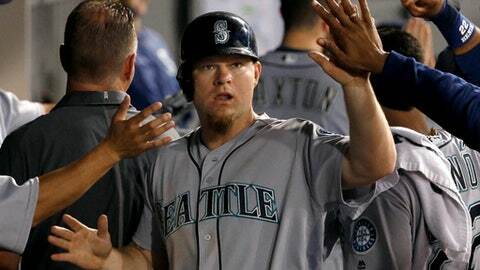 WASHINGTON (AP) First baseman Adam Lind and the Washington Nationals have finalized a $1.5 million, one-year contract. Lind gets $1 million this year, and the deal includes a 2018 mutual option with a $500,000 buyout. The 33-year-old hit .239 with 20 homers and 58 RBIs for the Seattle last season. In 11 major league seasons with three teams, Lind has hit .271 with 186 homers and 664 RBIs. He’s had six seasons with at least 20 homers, including exactly that number in 2015 and 2016. Lind offers a left-handed bat for Washington’s bench, someone who could fill in at first base for Ryan Zimmerman or provide some power as a pinch hitter. He joins Chris Heisey and Stephen Drew as key reserves.